1st things 1st and thanks, honours and credits to those that deserve it. 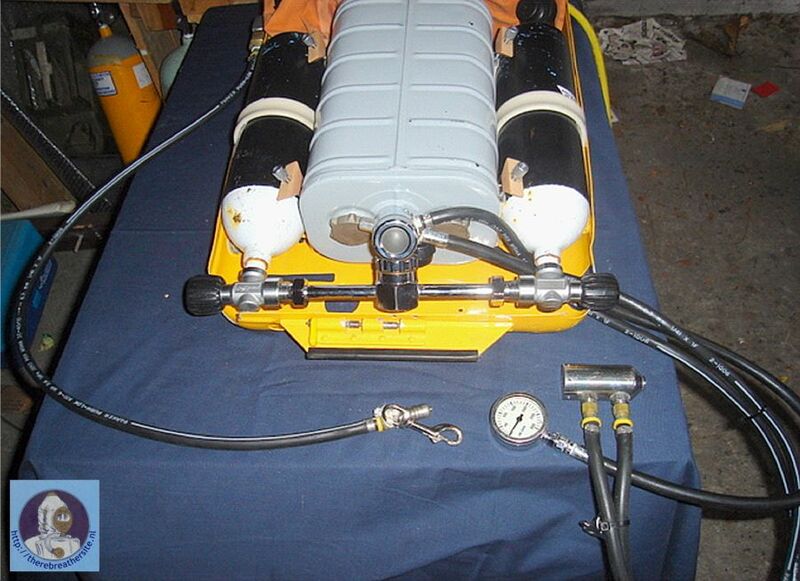 A lot of the modification ideas were bounced of my good friend and dive buddy Monty Guest, who understands Rebreathers probably the best of all the people I know personally. He had to endure many hours of listening to some silly and some not so silly ideas, helping me keep a sane mind during the modification process. My father who assisted me in the modification process, although not a diver himself, his simple logic, insistent questioning of my thinking and reasoning, as well as his ability to do magic with limited tools, helped me resolve many of the issues I got stuck with. 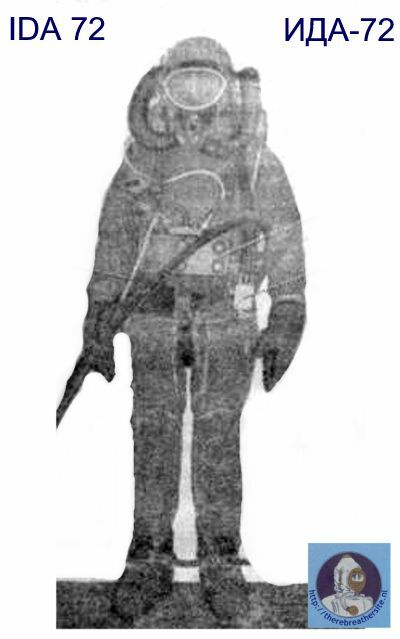 This is my documented effort to convert a Russian manufactured Deep Water Umbilical Supplied Heliox SCR (Semi Closed System rebreather) named the IDA-72 to a MCCR (Manually Operated Closed Circuit Rebreather) with Trimix capabilities. I tried to keep the system as original as possible, so as not to lose the essential character of the machine, although the machine’s working character had to be completely changed for the process to be successful. (If that mumble makes sense to anybody?) The main reason why I chose the IDA-72 as my rebreather of choice is very neatly summed up in the following paragraph, taken from Dave Sutton’s website. This meant that with some clever modification, I can have a Closed Circuit Machine, designed to work at 200m depth, with a belt block that allows me to effortlessly flush the loop with dilluent, and the ability to switch to an Open Circuit demand system, with the flick of a switch. A quick visit there will acquaint you with the workings of the original stock standard IDA-72 and can help understand how and why certain systems work. 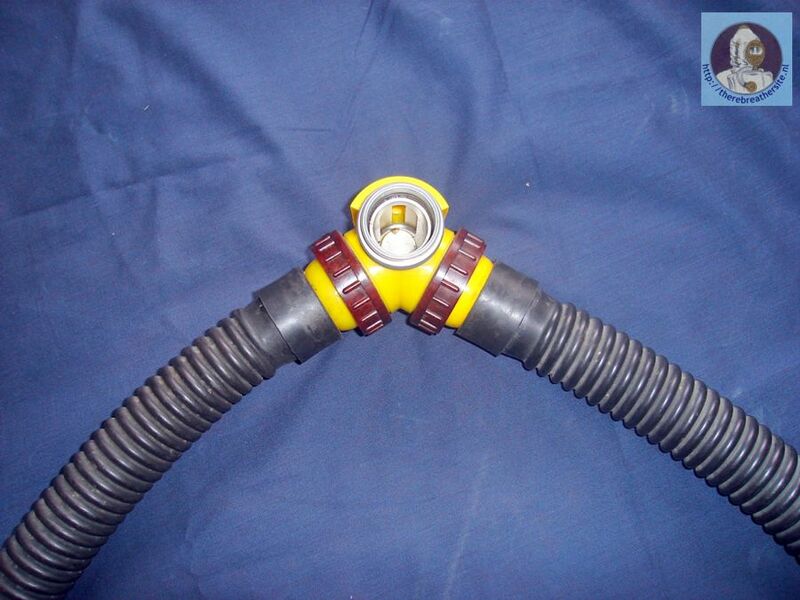 Guaranteed deep water rebreather capability. Built in BOV (Belt switch block to Open Circuit mode). Quick and effortless loop flushing. 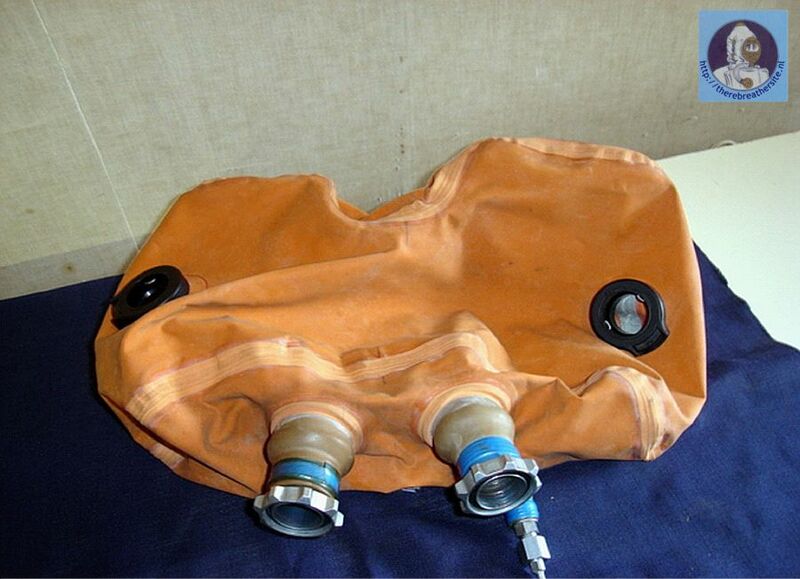 Here you have what I believe, is the safest Rebreather system available (not on the market today). But, all parts were safely kept, with as little as possible damage done. I tried to keep the machine as original as possible, but some stuff had to go…. What I ended up, is basically a bare chassis, with a breathing plenum and what I call the dilluent injection array consisting of an inlet connector with OPV and two pipes that will feed the breathing plenum and allow for operation mode switching. But, I had the basis of my MCCR rebuilding plan. The huge chassis of the machine lends it self to various opportunities and possibilities, and I had to really keep focus on hat I wanted to achieve. Don’t be fooled, the scrubber that goes into the cavernous chassis is HUGE. The breathing plenum on the left, with the two pipes that will be supplying pressurised gas for mode switching. 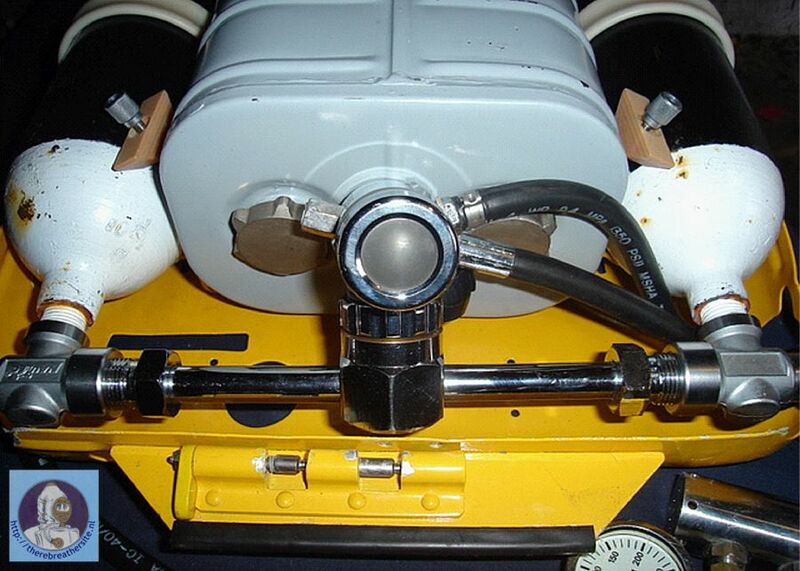 The original cylinder belts are still in place and will be used as is. The snakes’ nest that is supposed to be found at the bottom has been removed, as it will unfortunately not form part of my conversion idea. The IDA-72 is very cleverly designed. It was designed to be fed by an umbilical from a diving bell or similar type of set-up at extreme depths. This meant that the IDA-72 had a very smart dilluent connection system, to ensure the dilluent got to all the important places. I decided to keep the system as unchanged as possible (mostly). Unfortunately I had to remove the female umbilical connector as the male part is in Russia somewhere, probably attached to a nuclear submarine of sorts. I opted to put in a Quick Connect system, with the female Quick Connect on the Dilluent supply and the male Quick Connect on the rebreather. The Umbilical connection has an “interesting” thread size, and I had to source an adapter to fit the connector, which ends in a ¼ inch push lock barb. 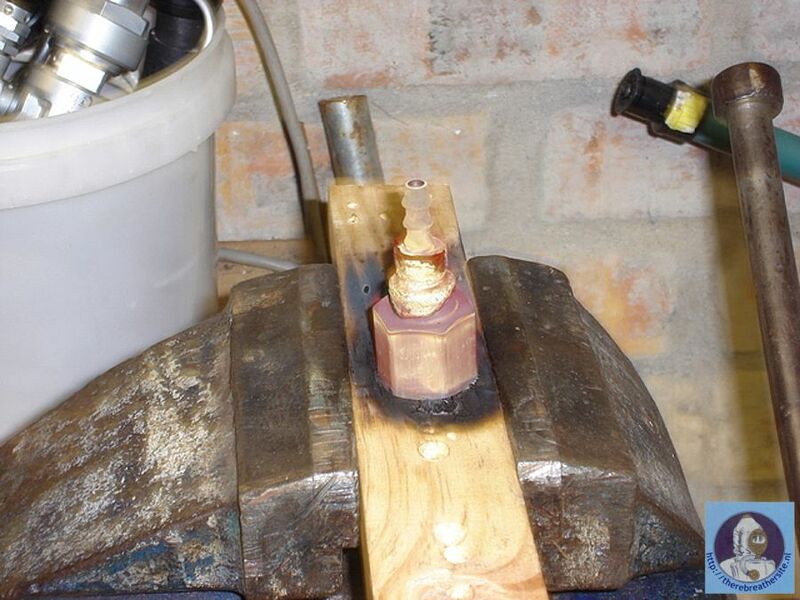 An alternative would be to drill and tap the female connector, so that a ¼ inch barbed fitting screws into the machine. Not having a ready available means of doing this work, I opted for the adapter which meant that I could use off the shelf parts. Due to the possibility of using off board dry suit inflation, I needed to move the dilluent connector as high up the rebreathers as I could. 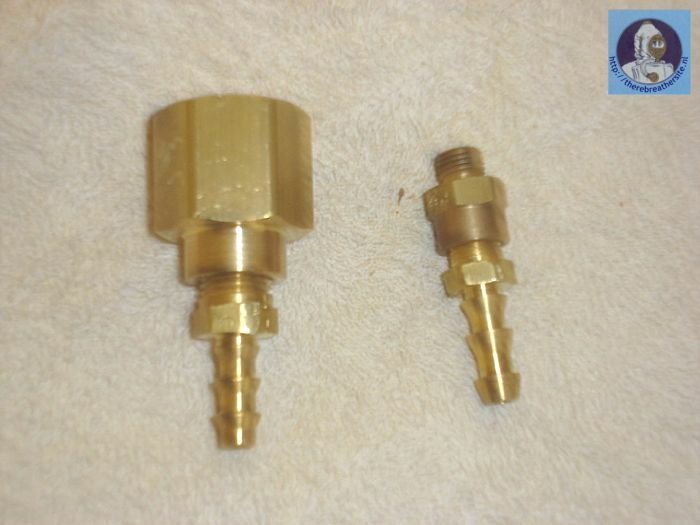 The dilluent connector has its own proprietary overpressure valve that protects the system against over pressurisation. Important to keep in mind, is that the dilluent not only serves an important purpose on the breathing gas side of things, but also drives the important features of the machine. I had to route the gas supply from the dilluent connector to all the important parts in the rebreathers. 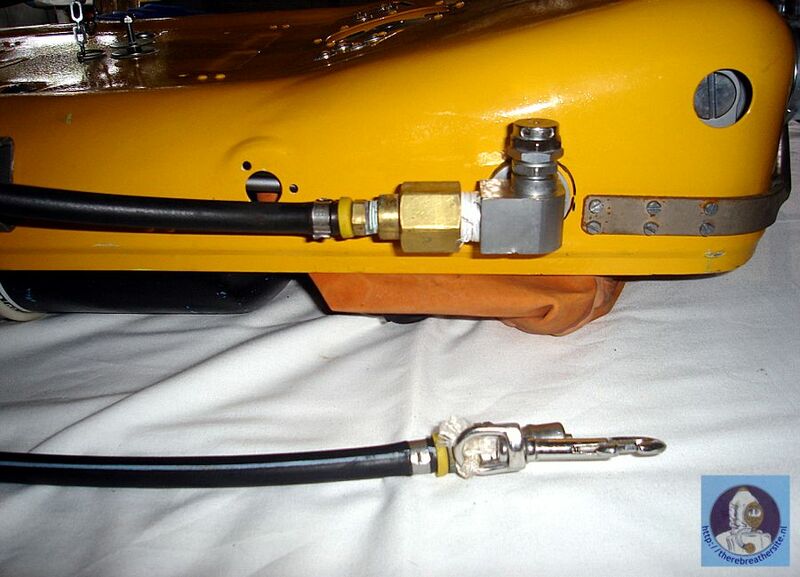 To be able to do that, I needed to build a manifold that could withstand 11 bar interstage pressure, with enough outlets to ensure that all the parts that need gas, can receive it. Below is a picture of the dilluent manifold, with a numbered sequence. The numbers are for explanation of what each pipe does. 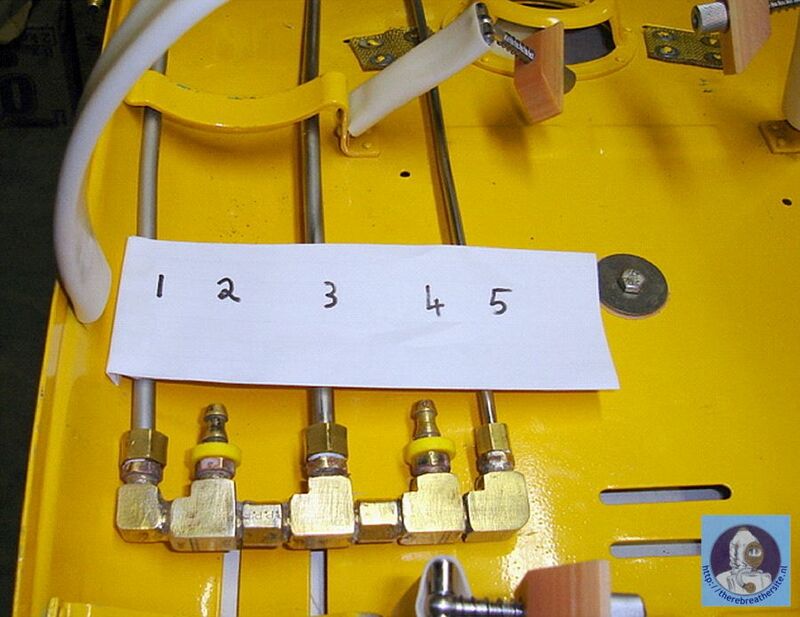 The supply to the gas Plenum / belt switch block, which splits the loop into Open Circuit if activated. The IDA-72 originally has two x 2L onboard Trimix cylinders rated at 200 BAR. 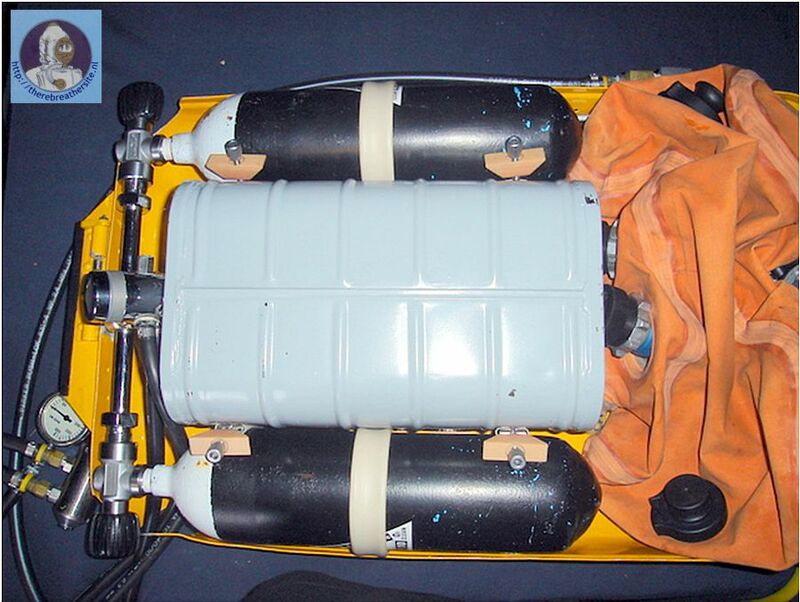 These cylinders are ideal for use as the IDA-72’s onboard Oxygen supply, (and therefore the colour change, black & white is the legal colouring for Oxygen). 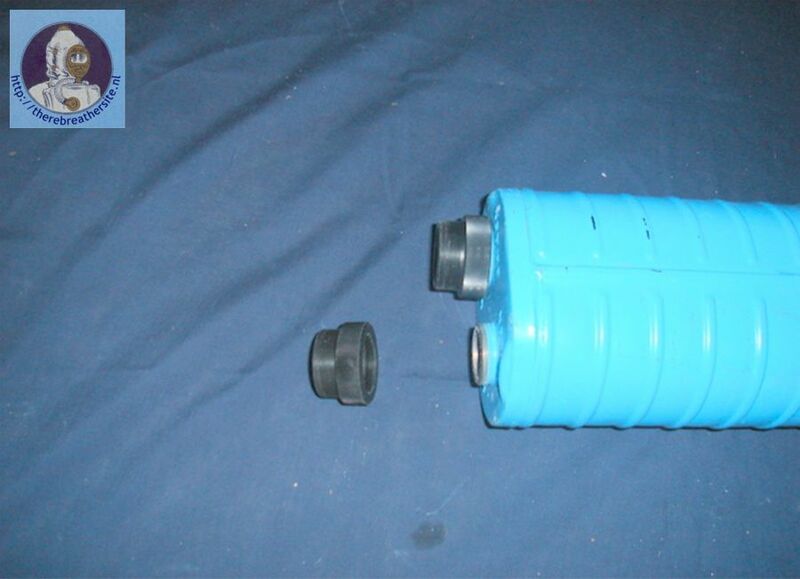 To effectively use the smaller cylinders in conjunction with the large scrubber, I opted to have a manifold manufactured to connect the two internal cylinders. 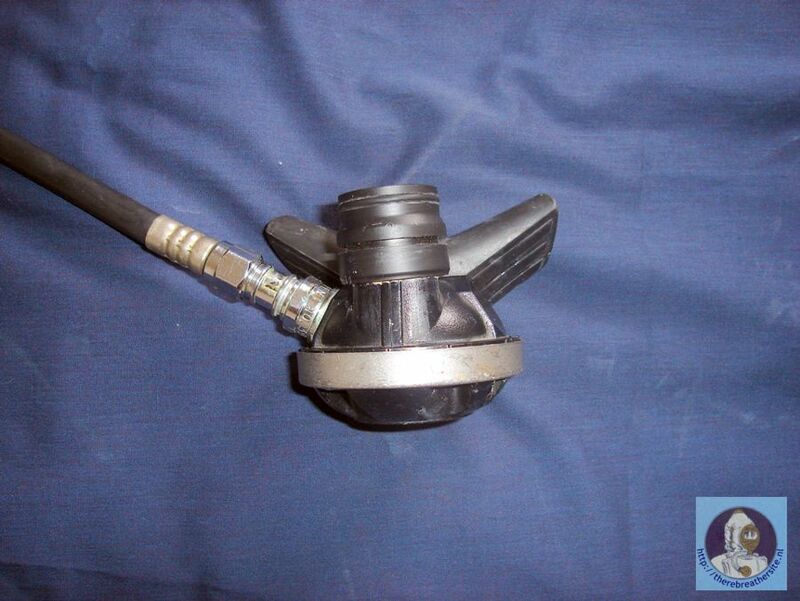 The manifold then allows a capped DS4 to be connected. This gives me a few options for future use. 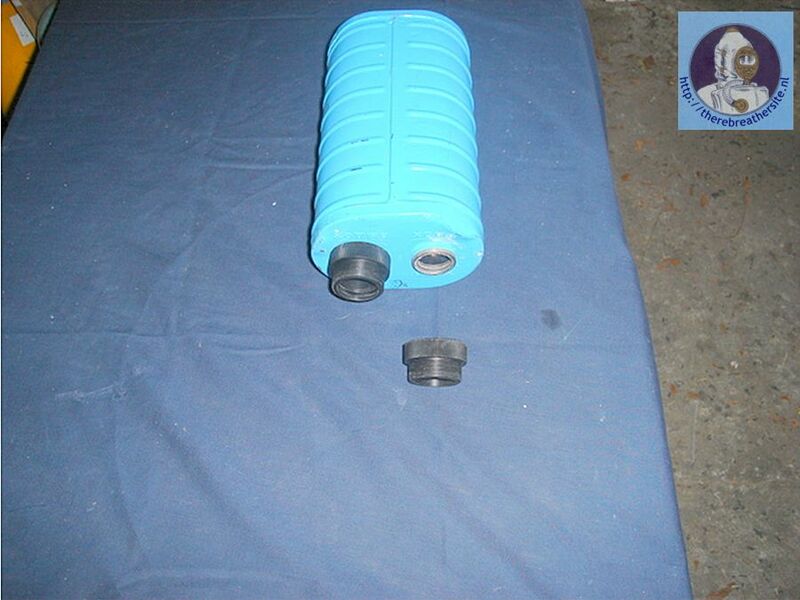 I can discard the use of the manifold and use one internal O2 cylinder and the other cylinder as an internal dilluent cylinder. Each cylinder will have its own 1st stage supplying gas to the system. The plumbing change is quick and easy. 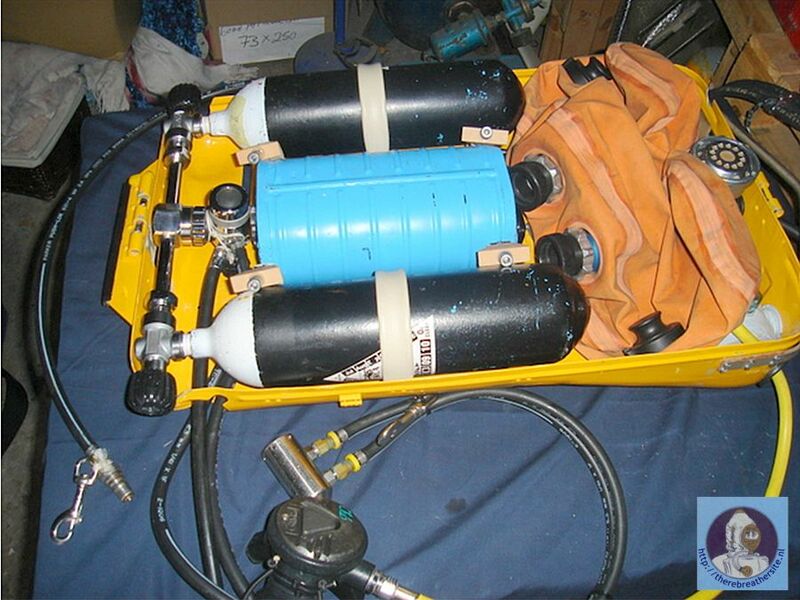 All the gas will then be onboard, and the diver will then only carry an off board bailout, as a stage /sling cylinder. 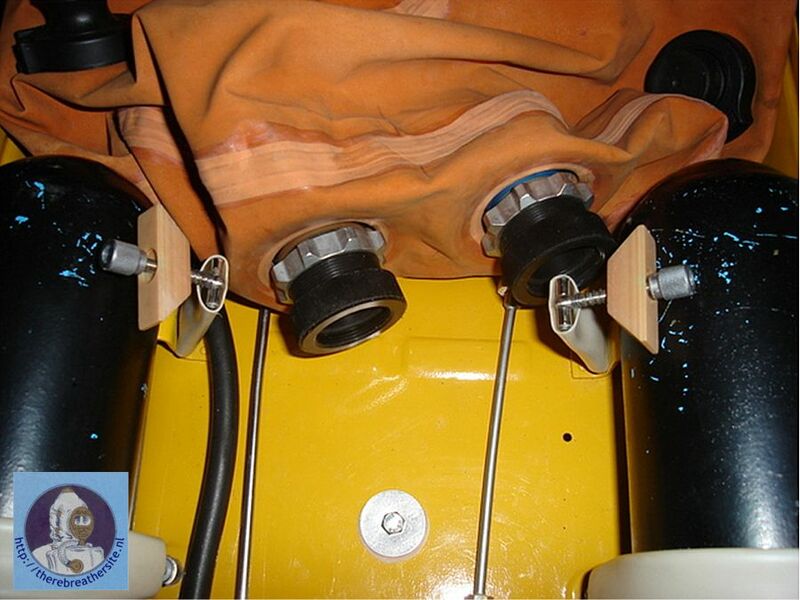 For dives deeper than 80m, the system allows for the discarding of the oxygen manifold, and installing of a depth compensating 1st stage on the one cylinder in conjunction with a manual add valve and using the capped DS4 for the CMF on the other cylinder. When the CMF stops working at +/- 80m (theoretically) the user will be able to manually add Oxygen to the system via the 2nd depth compensated 1st stage, effectively turning the oxygen supply into a demand supply. 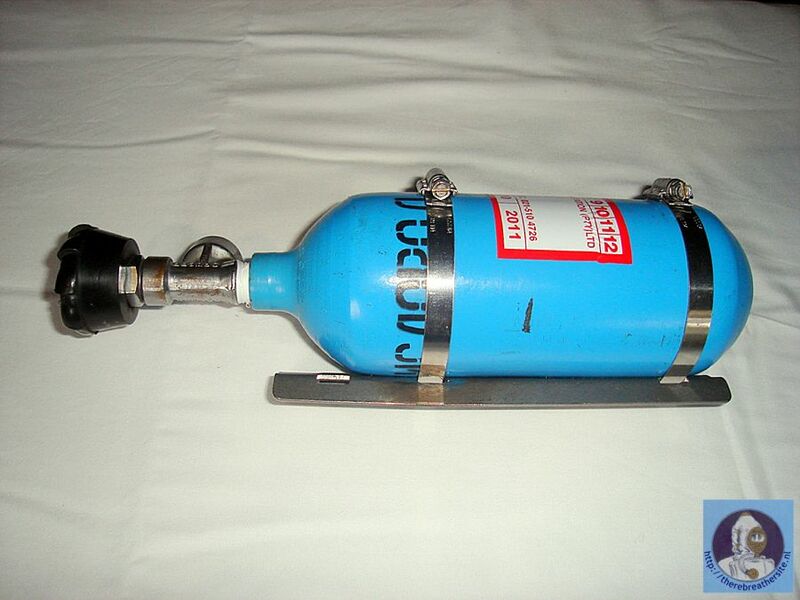 On ascent the CMF will take over the Oxygen supply when the pressure decreases, this will also offer redundancy in the Oxygen supply for dives involving long decompression. Although the MCCR IDA-72 uses a CMF (Constant mass flow Valve) to bleed Oxygen into the loop, it is still vital to be able to monitor the PPO2 in the system, so that the diver can make the necessary adjustments to the gas he/she is breathing. 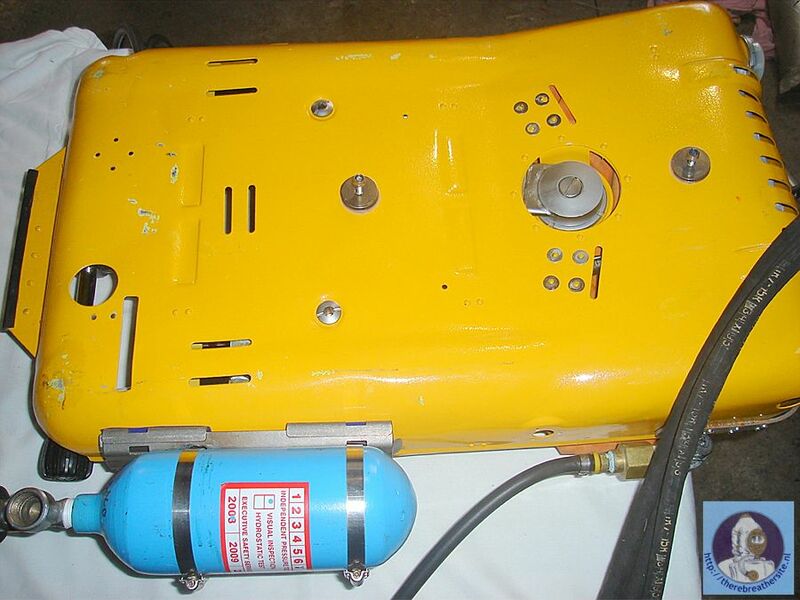 A rebreather is in effect a Nitrox / Trimix factory carried on the divers back. Using the same tried and tested method used in the conversion of the “Franken-son” and relatives; I opted for installing a P-connector system and independent PPO2 monitoring. The question has always been how many PPO2 displays do you really need? I installed only two independent PPO2 displays, and my diving philosophy is simple. If at any stage during the dive, both PPO2 monitors do not give me the same reading, I bail out and do an ascent on bail out gas, which I carry in an AL-80 cylinder as a sling / stage cylinder. No discussions, no loop flushes, No funny stuff. It is just not worth it. – rather come back tomorrow. If my dive buddy has a problem with that, I will find a new dive buddy. 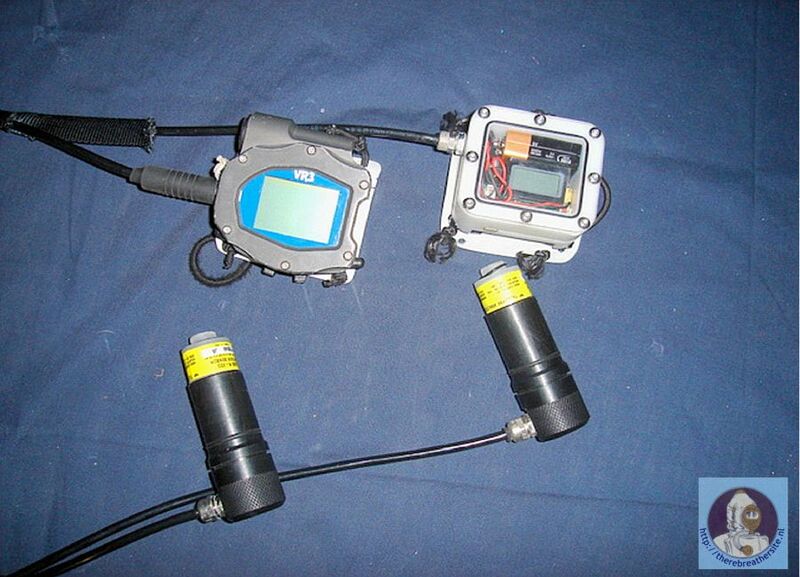 Two independent R22D Oxygen cells do the monitoring and the displays are read from two independent monitors. I am utilising one home built PPO2 display, that a friend of mine makes, and the second is my VR3 dive computer that doubles as PPO2 verifier and deco calculator. To solve the problem of two cables coming out of the machine, and lying everywhere except where they should, the cables are fed through 25mm tubular webbing, which protects the cable and helps with clean neat routing. The IDA-72 has a HUGE scrubber. It must be seen to be believed. It holds approximately 5 Kg of sorb, with dimensions that are about as big as a shoe box. The 5 Kg of sorb should be equal to about 5+ hours of continuous diving in our cold Atlantic water, although your mileage may vary. This is a complete overkill for most sport diving, but the unit was originally not designed for sport diving. It was designed to handle the gas volume at 200m which is equal to 21 BAR absolute pressure, when the diver engages the Trimix bail out option. 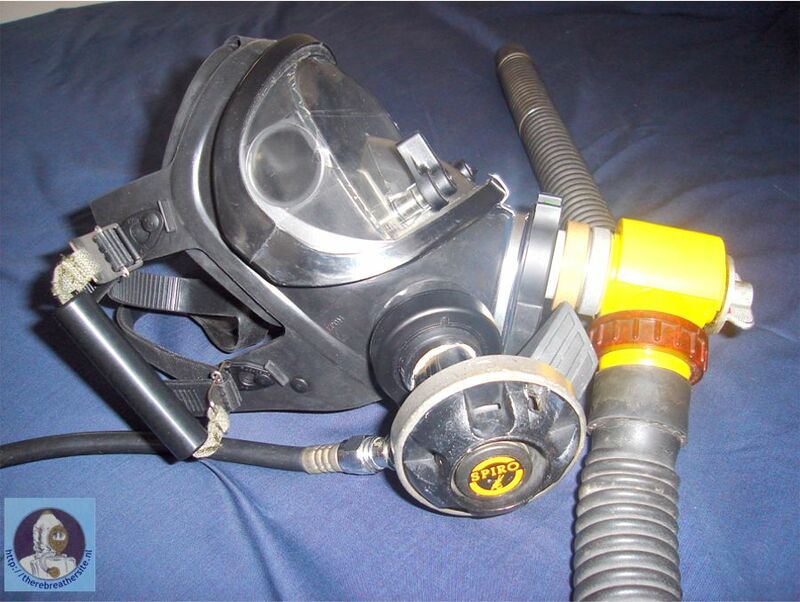 The IDA-71 has a very efficient scrubber canister, which holds approximately 2.1 Kg of sorb, which is more than adequate for a weekends’ rebreather diving to depths less than 30m. I decided to have an adapter made up, to allow me to use the IDA-71 scrubber with the IDA-71. 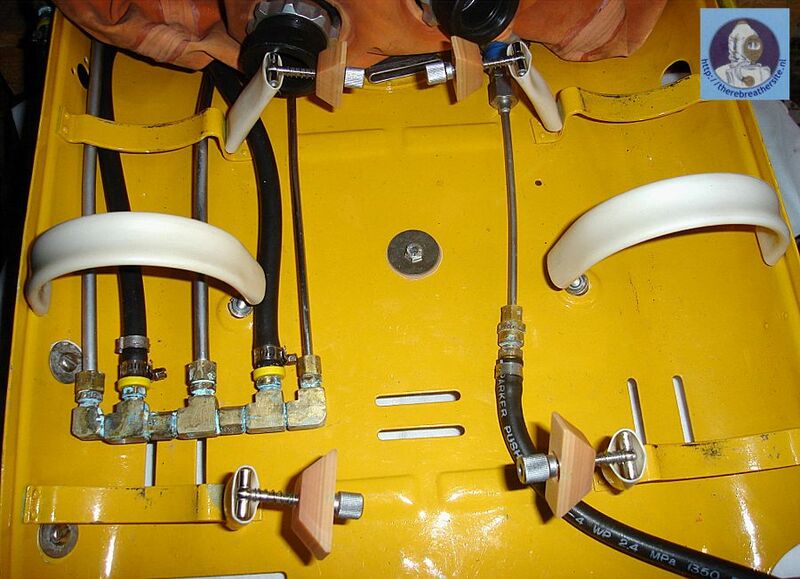 A straight forward fit is not possible, as the scrubber connection hoses of the IDA-72 are of a much larger bore than the IDA-71, even though they have the same type thread. The adapters were turned up from Delrin which screws down on to the IDA-71 scrubber, and fits the IDA-72 scrubber connector hoses. This allows me to use a smaller and lighter IDA-71 scrubber for normal shallow water diving, but still allowing the full use of the machine’s BIG scrubber for serious deep or long dives, should I choose to use it. The IDA-72 has an interesting proprietary hose system. 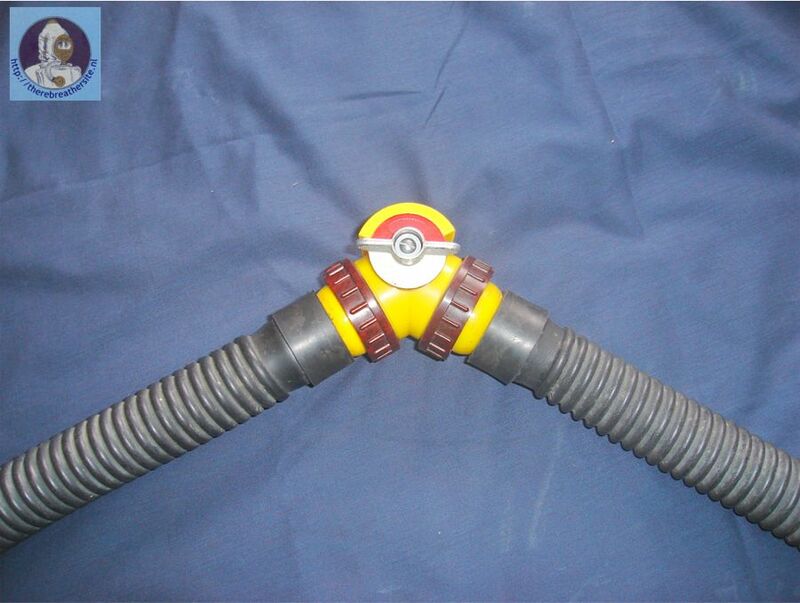 It consists of a huge outer hose that serves as a warm water jacket for the breathing hoses within. 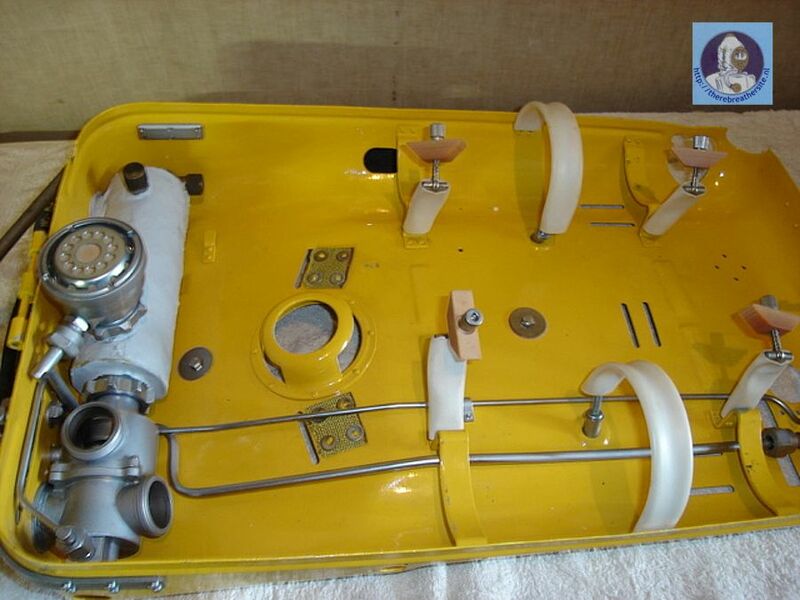 The purpose was to warm the divers gas (Heliox) for breathing purposes. 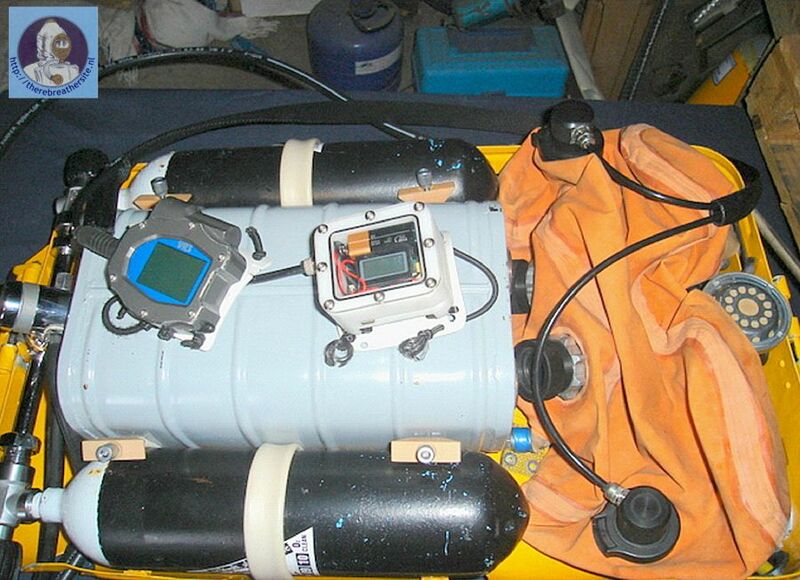 This system is totally unsuited for sport diving, and had to be changed, unfortunately. 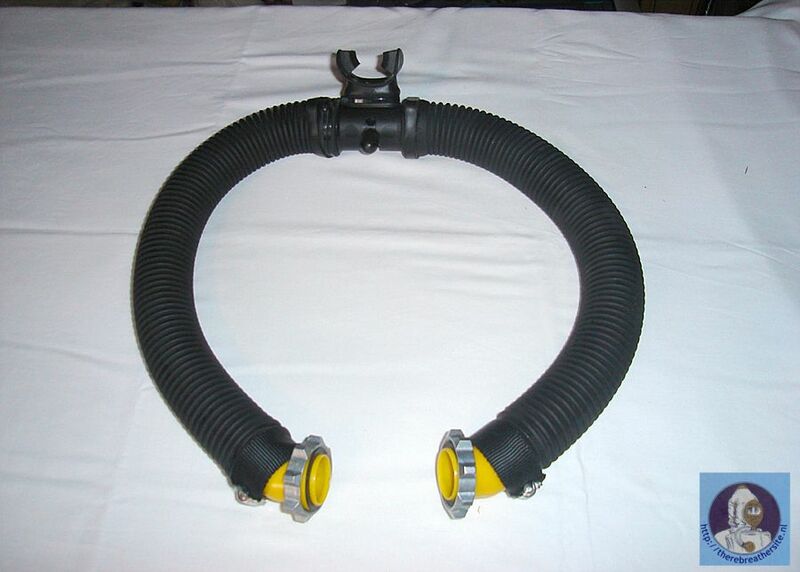 The inner breathing hoses are spiral hoses that are quite stiff and may be difficult to dive with, if not connected to a helmet of some sorts. 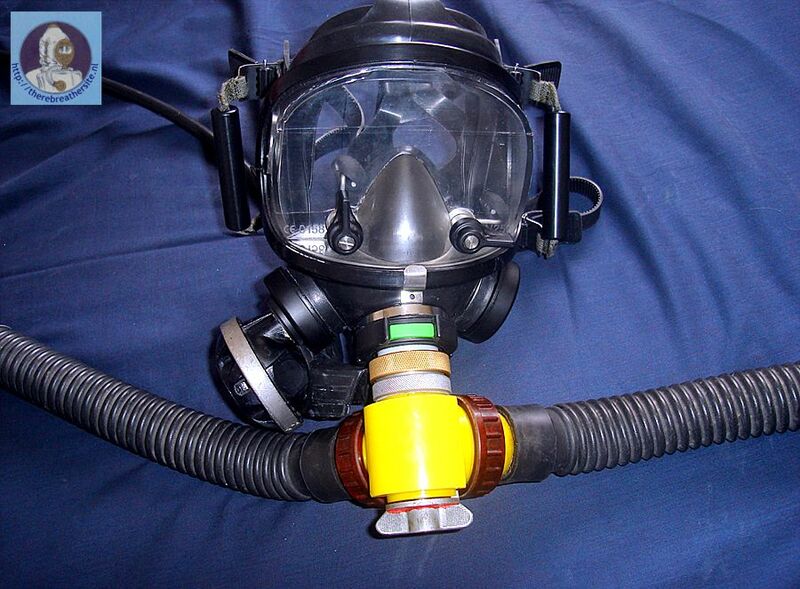 At a later stage I will be connecting my Drager Panorama Full Face Mask to the IDA-72 and the hoses might be used. 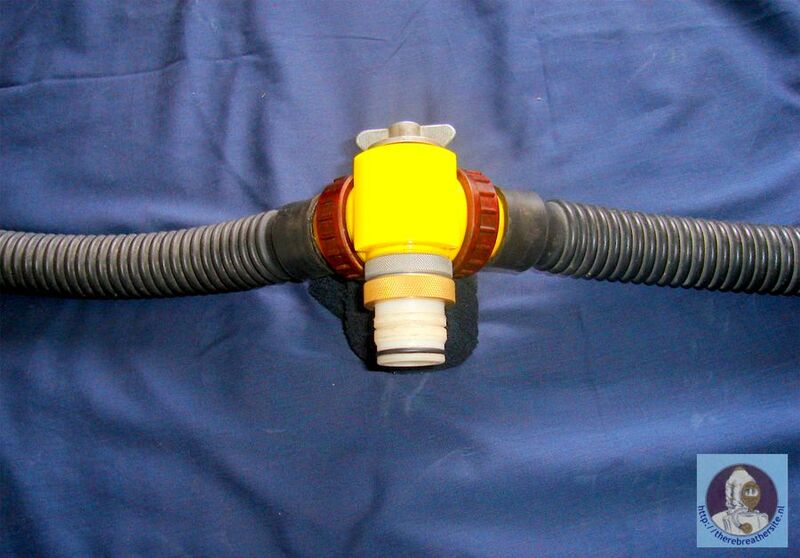 For my current diving needs, I opted to use Drager Ray hoses as they are easily found and a pleasure to dive with. 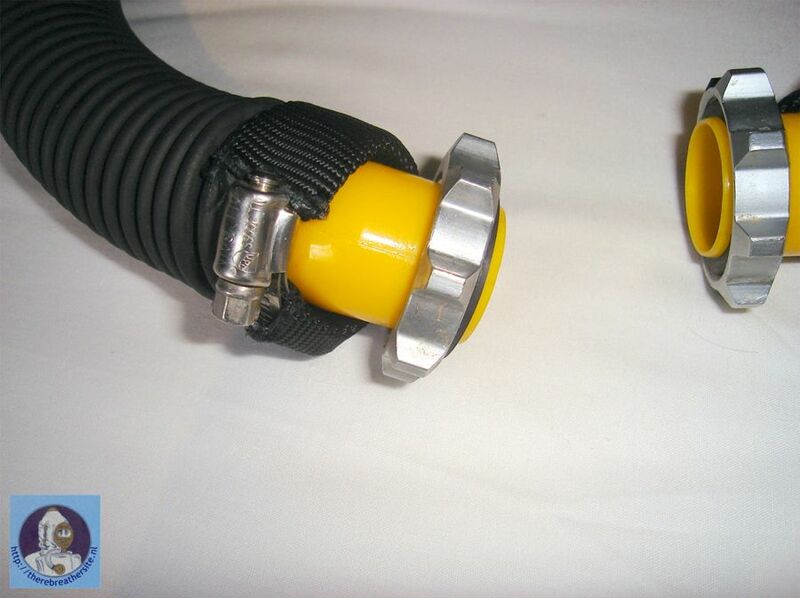 The inner diameter of the Drager hoses is also a 100% fit over the proprietary breathing hose connectors that come with the IDA-72. 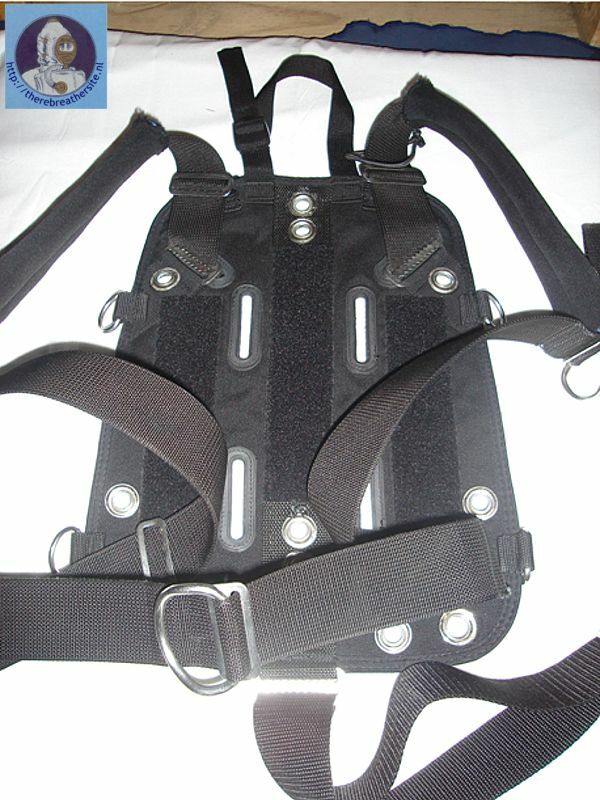 Due to our cold water, and taking into consideration the types of dives that are being planned with this machine once it is completed, a separate drysuit inflation system will be needed. 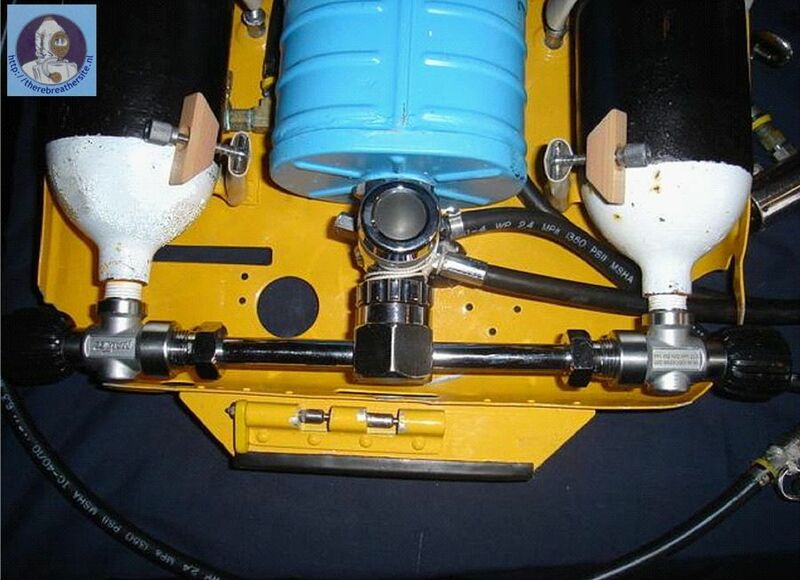 It would have been easy to add an additional hose from the manifold, or tee-off the wing LP hose to include a dry suit inflation hose (another idea ) but due to the fact that Trimix can and will be used in the machine, it is not such a great idea after all, as Trimix is not known for it’s insulation properties. This means that an independent system must be put in place. 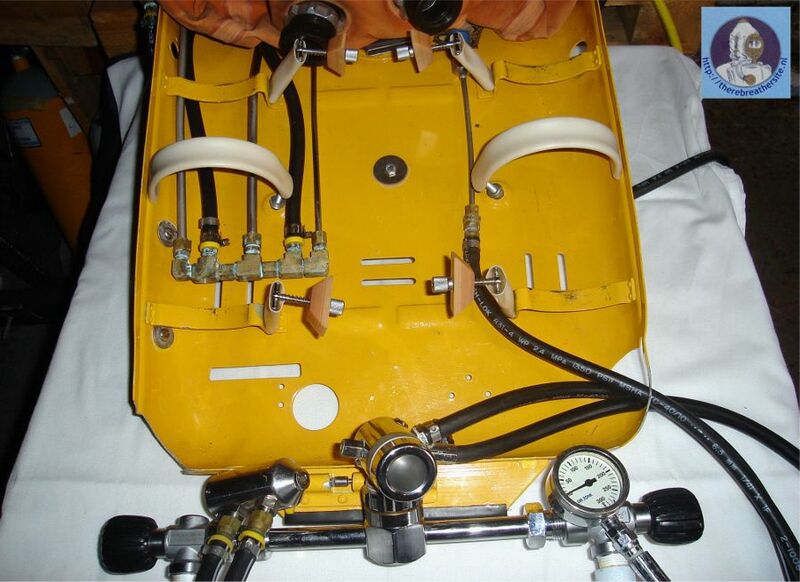 The system consists of a set of “G” clamps and my IDA-71’s 1L Oxygen cylinder and a Drager Kleinkonisch pillar valve. 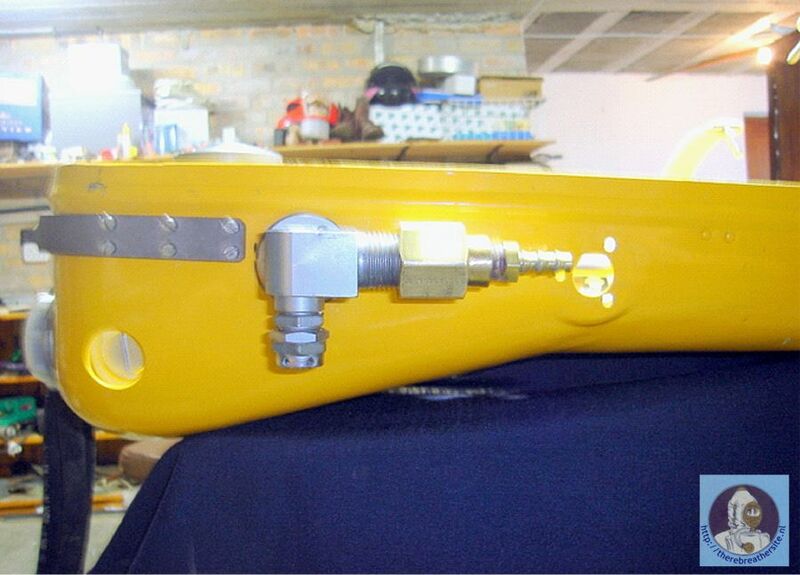 The female “G” clamp is secured to the IDA-72’s chassis with recessed machine screws and nuts. 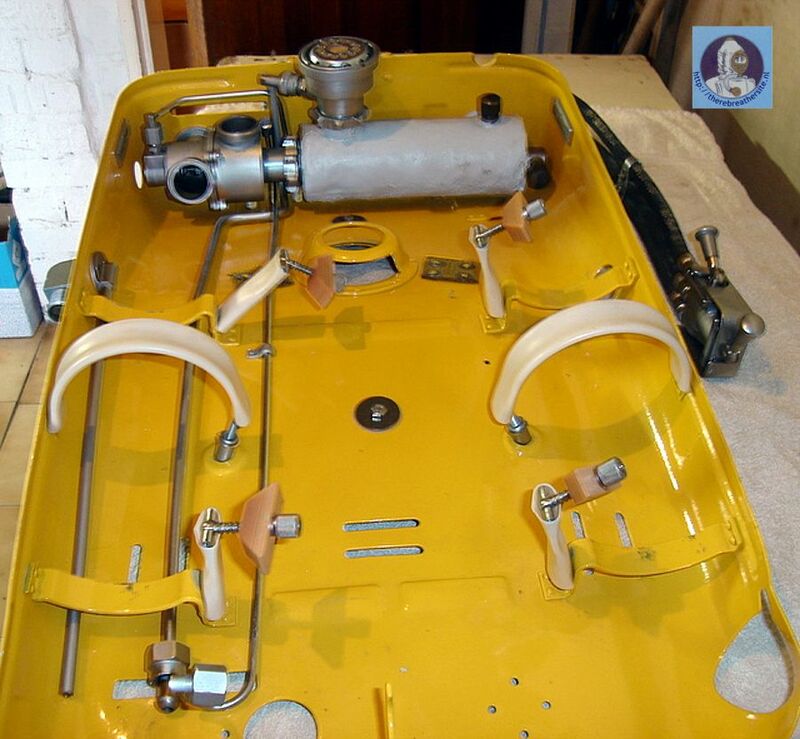 Care was taken to ensure that all the dissimilar metals were “insulated” so as to prevent dissimilar metal corrosion. The IDA-71 cylinder neatly slides into the female “G” clamp and a Drager Kleinkonisch pillar valve does the rest. The cylinder colour (light blue) is close enough to our legal colouring for Argon, which is referred to as Peacock Blue. The cylinder sits on the left hip, behind the wing and will be filled with either Argon, or Air and will have its own 1st stage regulator. 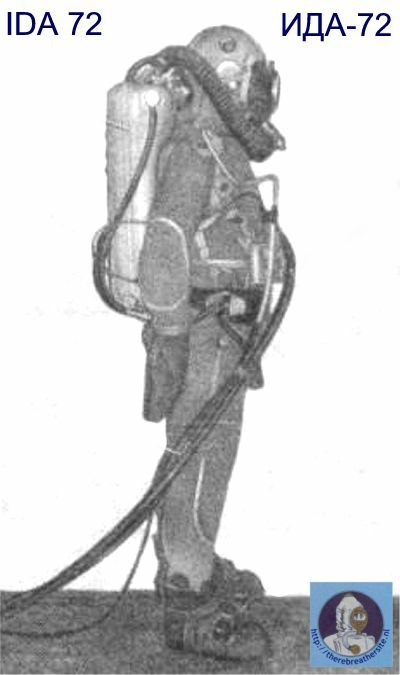 The IDA-72, like the IDA-71, is contoured to fit the divers back profile. It is therefore very difficult to attach a stainless steel backplate to the IDA-72. 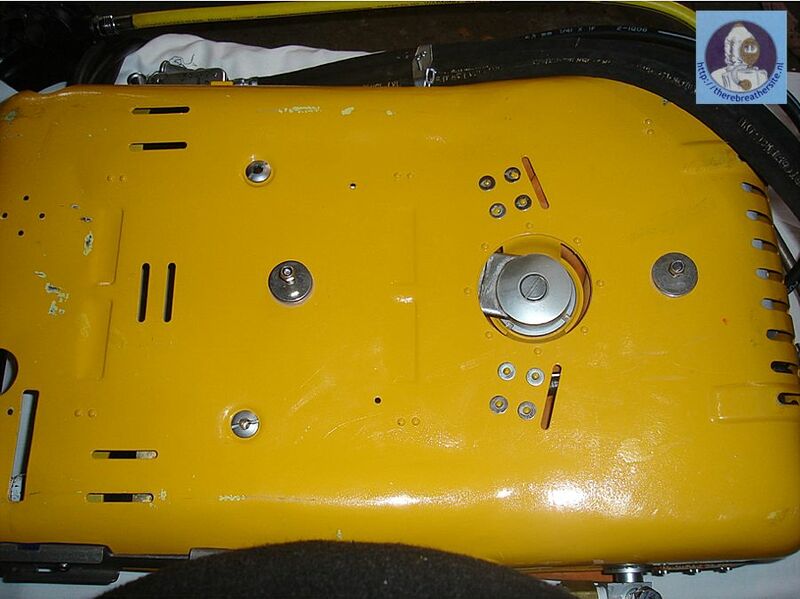 By inserting strategically placed 6mm stainless steel bolts, an Oxycheg “O” pack can be bolted securely to the back of the IDA-72. The “O” pack is a soft, but very strong nylon backplate that is perfectly suited for the purpose. 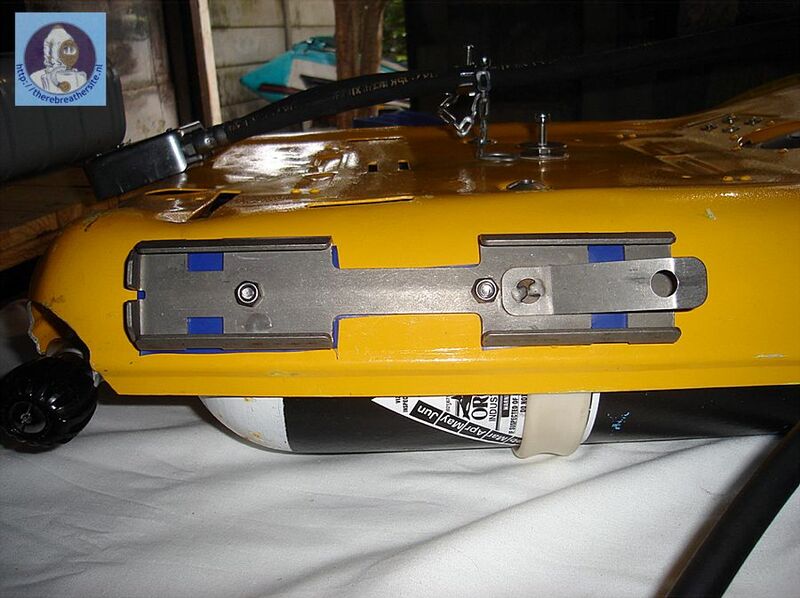 The wing is a 50Lbs (22 Kg) lift double tank wing that provides more than adequate lift for the machine during a dive. Currently the Machine has a bungeed bail out regulator, which is fed from the Dilluent manifold. It is not the ideal solution, but as with most works in progress, it is a start. It is important to realise the shortcomings of the system, although the ability to switch to OC mode is a great asset, inherent to the machines original design. I plan to do all my rebreather diving with a FFM, and to be able to use the FFM, the following modifications have been done. The IDA-72 DSV is a very nice designed piece of equipment but it is definitely designed to fit onto a helmet of sorts. I decided to use a FFM with the IDA-72, and possibly utilising the proprietary DSV and spiral hoses, if the hoses prove to be comfortable to dive with. Doing this would serve the purpose of adding more of the original flavour to the diving machine, without increasing the conversion costs. IDA-72 DSV viewed from behind. Note the big turning knob. The movement of the DSV is fluid and is a half turn to either side for open or closed positions. Unlike the Dräger DSV, there is a large “hooded” vent on the top of the DSV. Opening the installed DSV to surface air, makes breathing thought the FFM and installed DSV very easy. The DSV was definitely not designed to be removed from the helmet during diving, as you would do with a normal DSV in case of a bail out scenario. That would explain the need for an OC bail out function, such as provided by the Belt switch Block. So does form follow need or visa versa? As the machine did not come with a helmet (probably stored on the same Nuclear submarine of sorts as the male Umbilical connector) I had to turn to invention, to solve the problem of making all the parts fit. An engineering company who are always eager to help us divers with our little projects turned a DSV-P-Port connector and a locator ring based on my description. Not having a ready supply of Drager Shark regulators, or a convenient C&C milling machine, I had to come up with an idea of how to convert a normal SCUBA 2nd stage DV to a DV that will be able to connect to the Drager Panorama FFM. 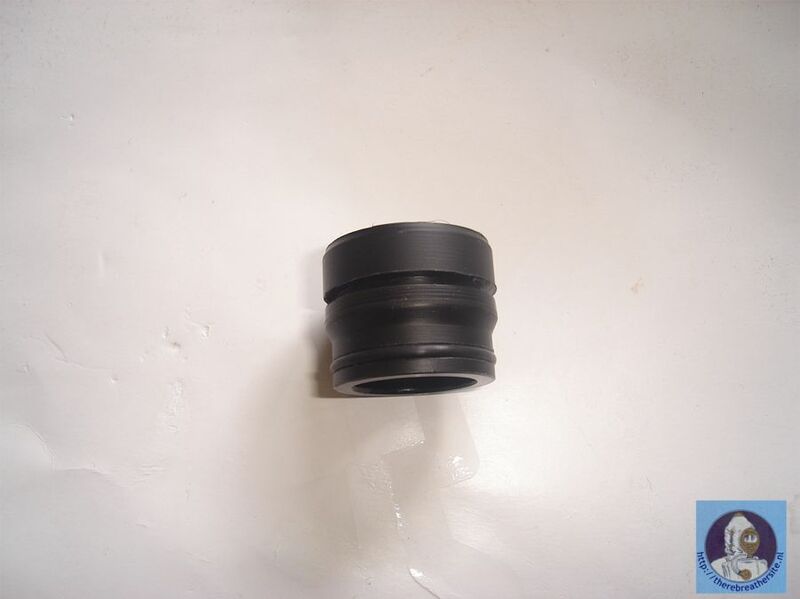 I had shortened male Drager P-port adapters turned from Delrin (Acetal) that would serve the connecting purposes. The P-port connectors were mated to a normal SCUBA DV with the use of a file and some “Pratley Putty”, which are two chemicals, in the form of pliable “play dough” sticks, that once combined in equal quantities, after 10 minutes or so, becomes rock hard and NEVER lets go. 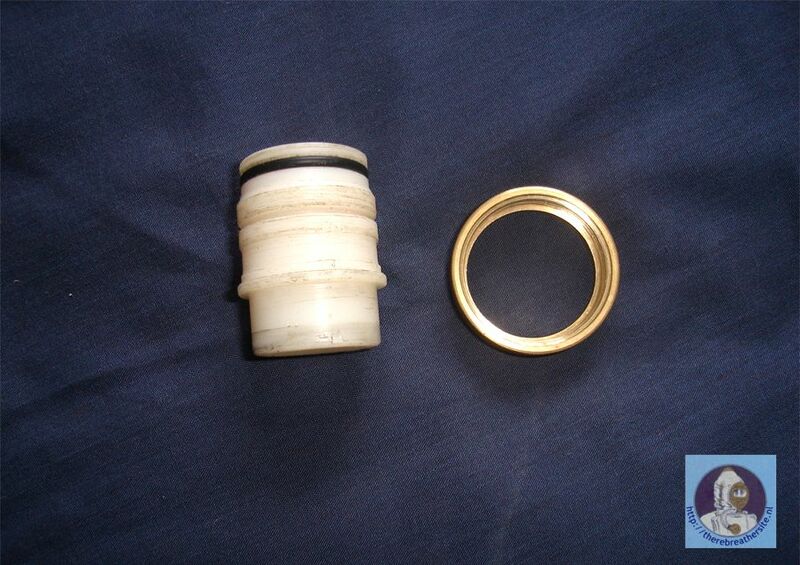 The file was used to take the edges of the oval connector where the SCUBA bite piece is cable tied on. 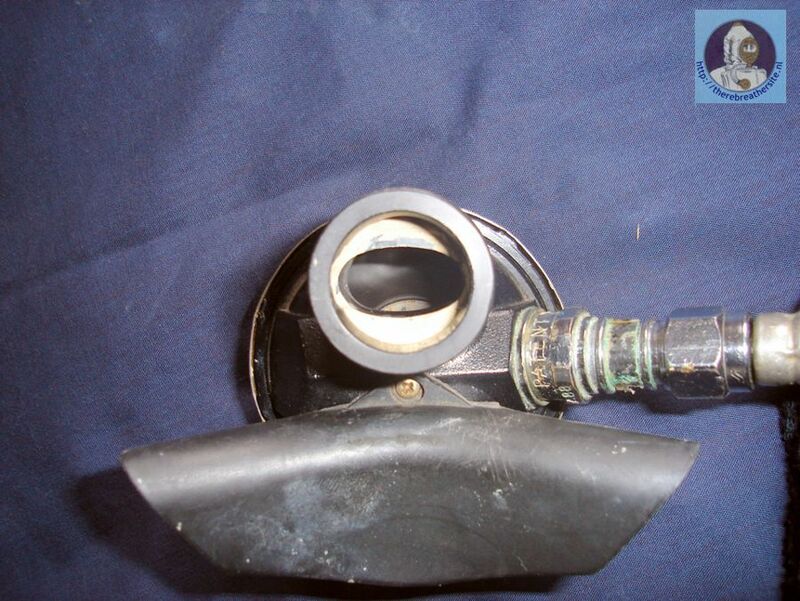 This resulted in a 100% fit around the sides, as the round P-connector is fitted over the SCUBA DV mouth piece. The Pratley Putty sealed the flat sides of the oval mouth piece and is responsible for holding the system in place. All that is left is to install all the elements and bring the system together. 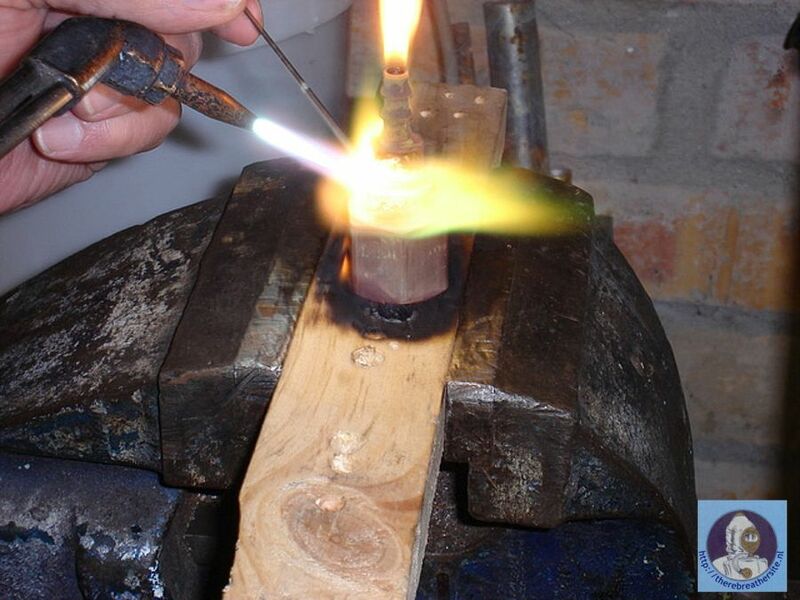 I would like to thank Johan Pretorius for sharing his project with us!